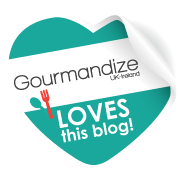 This recipe works well as the radishes take on the flavours of the soy and ginger really well, plus the longer you marinate them for the better. They do dry out when being cooked that is why I suggest that some of the marinade is reserved so you can pour some over just before serving. 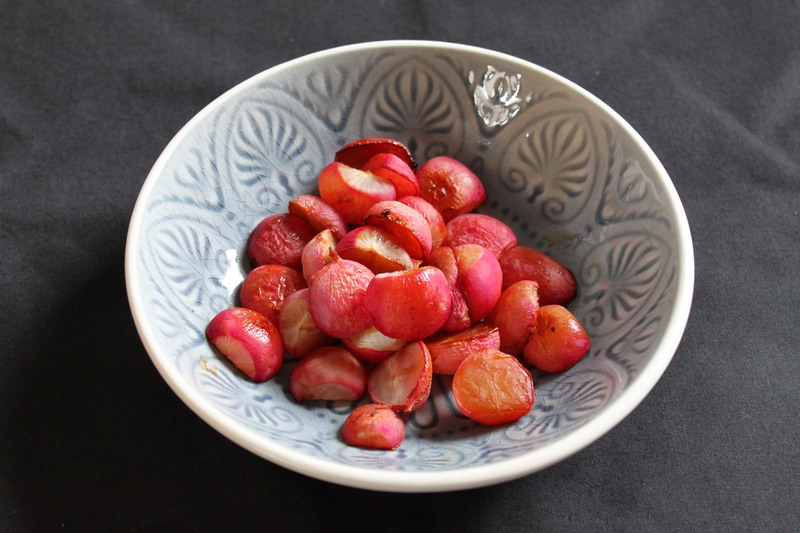 Place all the ingredients in a bowl and mix well until all the radishes are coated. Leave to marinate from 1 hour up to 3 hours. Pre-heat oven to 180C/355F. Line a baking sheet with foil. 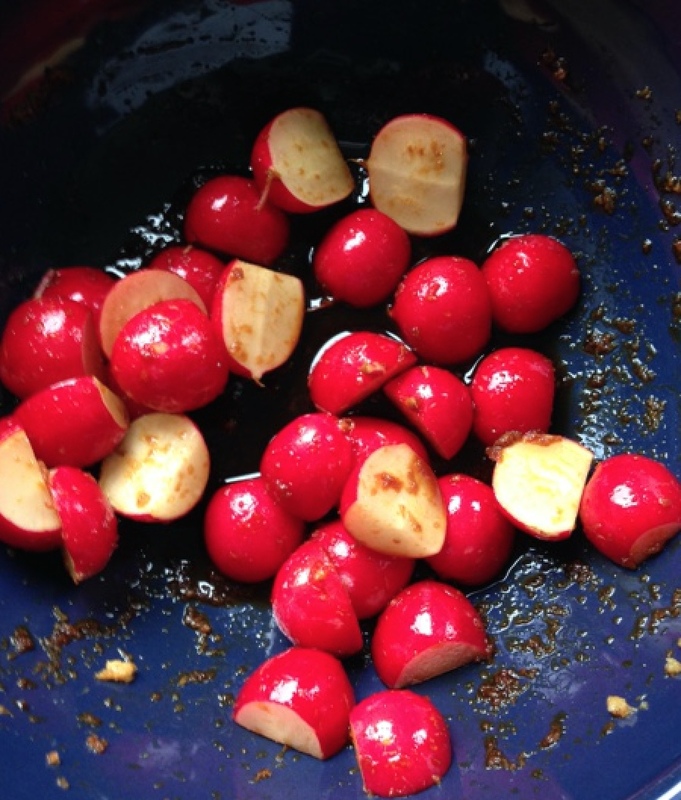 Place the radishes on the baking sheet reserving the marinade and place in the oven for 15 minutes. After 15 minutes give the radishes a stir then cook for another 10 minutes. Remove from oven and serve either hot or cold, spoon over some of the marinade is desired.